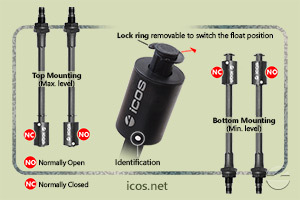 With 200mm rod length, the Eicos level switch LE201-M12 detects 1 level point of water or other liquid at the top (maximum level) or bottom (minimum level) of the tank. 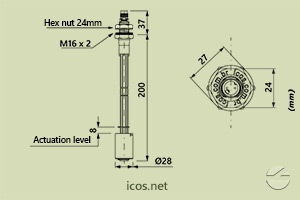 It is ideal for temperatures up to 90°C. 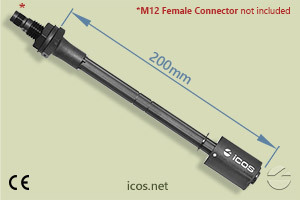 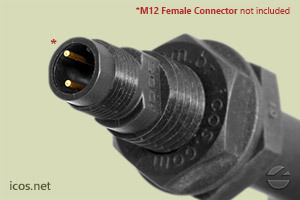 Output by male M12 connection (female M12 connector not included).